PLEASE CHECK AND CONFIRM THE SIZE FROM TITLE. Soft Brushed Microfiber quilted with plastic dot non slip backing sofa pad. This sofa pad is very good for your adjustable Sectional Sofa furniture. Multiple size available, sold separately. Protect your sofa furniture from scratches, stains and hair. Care: Machine washable in large loading gentle, line dry. 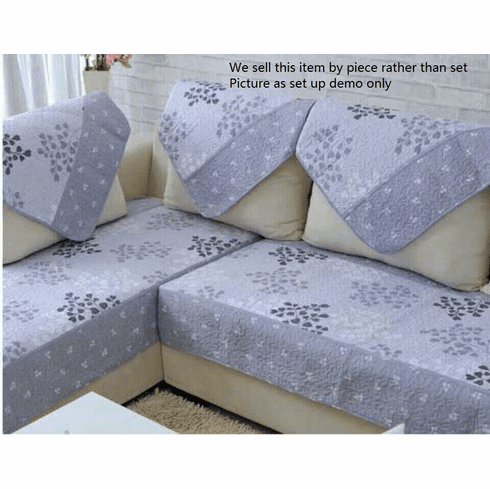 iron if necessary ===== IMPORTANT==== As the adjustable sectional sofa size may vary from sofa manufacture, the pads listed is sold separately, please carefully measure your sofa and make decision which size(s) you will need.